A year has passed since his ex-wife remarried. Now Will Larson's adult sons have decided he needs their help to start dating again. His growing desperation to date retiring high school art teacher, Jessica Daniels, makes Will thinks suffering their help might be worth it. He admires Jessica for her courageous art and for how she has dealt with the trauma of her life. Jessica assures Will she is incapable of lasting love, but he refuses to believe it’s true. Will is sure the only part of Jessica truly damaged by her past is her heart. 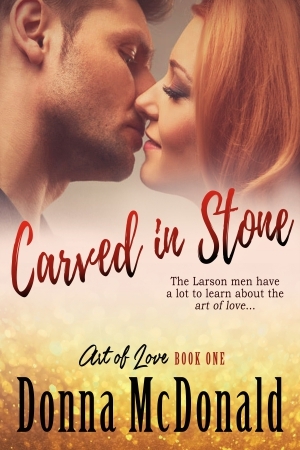 The skilled sculptor carves masterpieces from stone but soon discovers that he has a lot left to learn about the art of love.